As online advertising grows, there are many ways for your practice to attract website visitors. But ultimately, what the potential patient does after landing on your website is vastly more important. Healthcare is expensive. 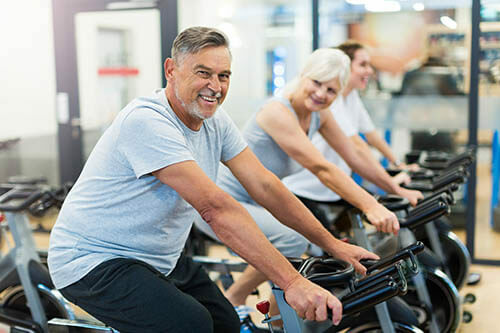 There’s no debating that while most patients would agree they need to be healthier, their insurance and financial situations often make the final decision about their well-being. And yes, I could rant about hospital systems, inflation, and political factors, but for now, we simply need to market to the situation that exists. Especially if a patient is using direct-access, one of the most valuable things you can offer website visitors is a chance for a free consultation or evaluation. Now, don’t get me wrong – you should have a “sticker price” on these services. Most people understand that initial evaluations are expensive or not covered by insurance, and keeping that as true creates a high-perceived value in the patient’s mind. You could even include something like “A$250 value” in your marketing text (just don’t make it too big or distracting). Another option, you could say “Many insurance companies don’t cover evaluation costs, but your health is more important than money. That’s why we cover the cost of a 30-minute evaluation…” Helping to relieve this major point of concern will keep more visitors on your site longer. For powerful tips on attracting new patients with Social Media, Emails, SEO, Websites, & more check out our free PT Training Downloads! As human beings, we are naturally made cautious when they don’t know the result of an action. That quick, subconscious hesitation could be just enough to push a visitor away from your page and on to Facebook or any other distraction. Step 1) Book a Free Consultation. One of our expert therapists will spend about 30 minutes getting to know your specific goals and pain points before recommending a custom care plan. Step 3) Start Feeling Better! Each appointment is one step closer to pain-free living! Every website needs several pages, buttons, and options for visitors to click on. 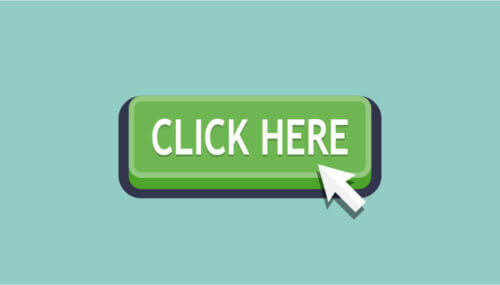 However, the button or CTA that drives the most business for you should be far more clear than all other buttons. Ideally, your dominant call-to-action is the exact same wording as Step 1 in the process we laid out above. If a potential patient checks 3 physical therapy websites before deciding where to go, they will have been bombarded with any number of messages, ads, images, and other distractions during their search. And yes, reviews and other factors will help them decide. But I would argue that a huge subconscious factor is simply which Call-to-Action was 1) memorable and 2) simple to carry out or understand. If you’re already ranking well in Google, the right button can and will drive more patients to your practice. For more tips on creating effective buttons on your site, check out this great article from Wordstream. SOCIAL PROOF: 3rd party or general public accreditation of an organization that reflects a level of trustworthiness or authority. See that? The logos of popular companies across the bottom send a subtle but strong message that this company has expertise and has been trusted by some huge clients. When gathering reviews, encourage patients to use Google Reviews as this helps your SEO. You can then copy those reviews from to your website, but what you can’t do is add reviews to Google from another source. Very few things will connect with people as effectively as helping them with a painful problem. A quick video tip on back pain or a PT blog post about knee pain solutions can really go a long way towards turning that website visitor into a lead or even a fan – sharing your content. If you aren’t running a physical therapy blog we highly recommend starting. It helps convert new patients, gives you content to post on social media, and is great for getting found on Google. If you’re too busy to write blogs, done-for-you blogging is included in some of our website & marketing plans. Every image on your website should allow the visitor to picture themselves at the END of the journey – already feeling better. That’s a tip I’m passing to you from Donald Miller of Storybrand. Happy patients playing with their kids, succeeding in the gym, or any other celebration helps the potential patient see their end goal. It also portrays the end goal as attainable. Yes, there is room for pain-related images in healthcare because it grabs the attention of someone experiencing the problem. Remember though, people perceive negative emotions in marketing more intensely than they perceive positive ones. Whether they realize it or not, images of people in pain will bring their mood down eventually making them feel slightly sad without knowing why. And it doesn’t take a marketing expert to know that’s not what we want them to feel looking at your website, right? Images are worth a thousand words – so make yours tell a happy story! Moment of honesty – I’m a font nerd. I can’t stress enough how important the text on your website is. The most important thing to keep in mind is the more you try to say, the less web visitors will listen to. Make sure it is large enough, but don’t make everything large. Especially on mobile, your text needs to be big enough to be read. But remember that if everything is bold, nothing is bold. If everything is large, nothing stands out. Start with a bite-size piece of information that will wet the reader’s appetite. Then, and only then, they will do the work to read more. “White space” is the area around your text on the page. The more white space around a block of text, the easier it is to read that text. The second is “Line space” or the space between lines in a paragraph. When the text is small, like in a blog post, increasing line space makes it easier on the reader’s eyes. Essential Physical Therapy in Eugene, Oregon does a great job with space around and in their text. A great way to think about website text is to create a hierarchy. Start with 3 important messages. Now, rank your text: read first, read second, and read third. Finally, rewrite the text with the rule that the higher it ranks, the fewer words get used. Some visitors may not be ready to book an appointment. Instead, provide a chance to subscribe to a healthy tips newsletter or download an Ebook about relieving certain pain. 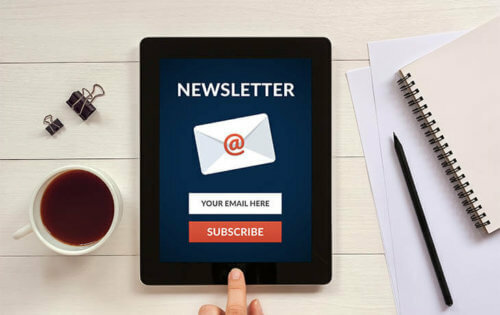 Ask only for first name and email address so that it feels like a “low cost of entry.” This will grow your newsletter list in addition to hooking visitors who don’t want to book YET but are interested in your expertise. A majority of web traffic is now on mobile devices. 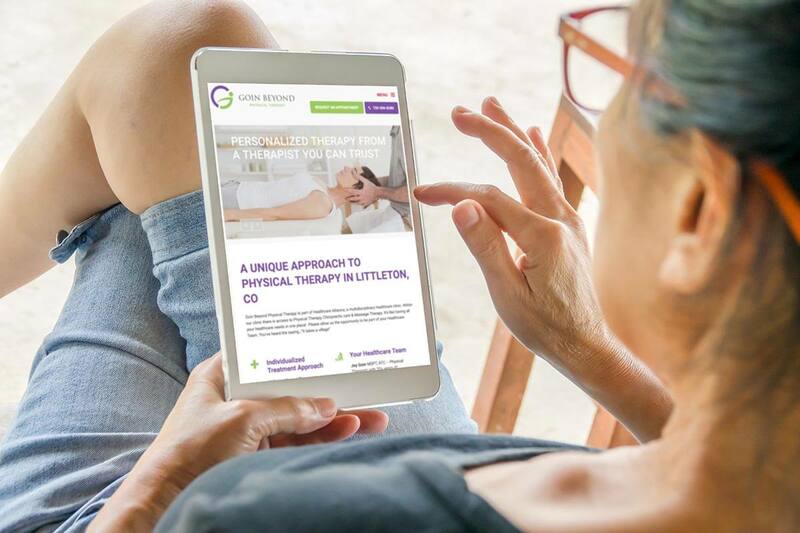 Our data shows that while for physical therapy websites that isn’t quite the case, it is rapidly approaching 45-50% especially for clients who advertise heavily online. If your site takes a long time to load, is hard to read, or has buttons or menus that don’t work on mobile devices those website visitors will leave before you can communicate a single word. On average, a website should be updated every 2 years simply because of how many new abilities and features are being created, as well as how much computers, browsers, and devices are changing every year. If you want help ensuring your physical therapy website is up to date, we’re here for you. This one gets a little technical, but think about it. As a population, our attention spans are getting shorter and shorter. If your home page doesn’t load in under 2 seconds, there’s a good chance you will lose a lot of potential patients. Google is also beginning to place more importance on load time in search results. Of course, these are really useful things to have on your site, just use them correctly. Don’t overdo it. You can also ask your web developer for tips such as if you use video in the background, try making that a desktop-only feature so mobile devices load faster. When in doubt, test it on your phone, work, AND home computers and see if you think your site is fast. Getting potential patients to your website is important, but the key to a great website is focusing on what happens when they arrive. Think of your website like your practice – would you succeed if you spent all your time marketing for people to come in, but once they arrived there was no receptionist, no clear instructions, and everything seemed disorganized? No. You spend most of your time focusing on what happens when a patient is inside, right? If you want to keep visitors on your website, the same principle applies.